A friend discovered a novel way to have her cake and ice cream. On the way home from the store, she made one too many stops and arrived home with a melted half gallon of ice cream. 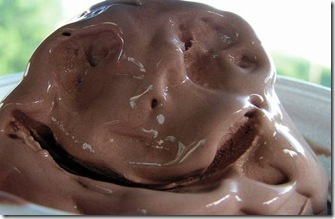 She put her creative mind to work and came up with a “Melted Ice Cream” cake. Whether you melt it on purpose or by mistake this is a great application especially if you purchased a variety with chunks of chocolate, pralines, cookie dough, etc. Yum. Preheat oven to 350 degrees and move the rack to the middle. Lightly mist a 12-cup Bundt pan or tube cake pan with vegetable oil spray, then dust with flour. Shake out the excess flour. Place the cake mix, melted ice cream and eggs in large mixing bowl and blend with an electric mixer on low speed for one minute. 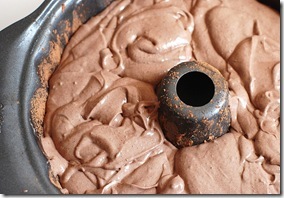 Increase mixer speed to medium and beat 2 minutes longer, scraping the sides until the batter is thick and well-blended. 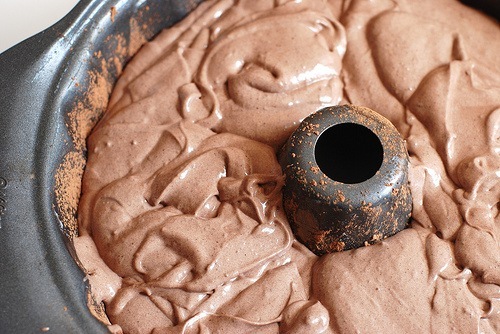 Pour batter into prepared pan, smoothing the top with a rubber spatula. Bake cake until it springs back when pressed lightly with your finger and just starts to pull away from the sides of the pan (38-42 minutes.) Remove pan from oven and place on wire rack and cool for 20 minutes. Run a knife around the edges and invert onto a plate and again onto a second plate so the cake is right side up again. Note: You can also mix together several flavors of ice cream to use up those last bits that take refuge in the back of the freezer. Works well with pudding and extra moist varieties of cake mix too. Dust with powdered sugar or frost with your favorite frosting mix. 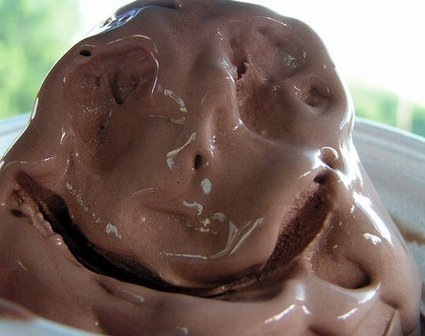 This entry was posted in Food & Entertainment and tagged Creative ice cream and cake, Melted Ice Cream Cake by Emily Jones. Bookmark the permalink. A fabulous idea——and, I will try it today with my favorite flavor of ice cream—–coffee!